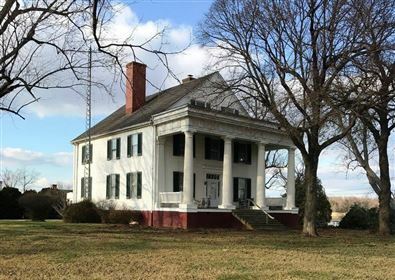 Dating to 1855 and a unique host to both Generals R.E. Lee and U.S. Grant, witness to Cavalry battles in and around Brandy Station, Auburn Plantation consists of 422 acres of fertile bluegrass and orchard grass pasture set against a backdrop of the Blue Ridge Mountains. The manor is Greek Revival in its purest form with wide center hall, rooms of gracious proportion all enhanced by mellowed heart pine construction. On the National Reg. of Historic Places. . Click here for additional info.